in the land of the flat ground, but that doesn't mean that we can't travel to all parts of the globe for some great skiing & snowboarding. The Rock Valley Ski Association (RVSA) plans several trips every year. We have week long trips to destinations in North America or Europe and weekend trips to fine locations in the Midwest. Trip-costs are kept low due to group pricing. Although trips are "KING," we do have fun the other 300+ days of the year. Check out the Events page to see what's going on now. We are a snow skiing (snow boarders too!) and social club located in Rockford, Illinois. The club consists of men and women from the greater Rockford metro area (Rockford, Belvidere, Beloit, Freeport, Durand, etc.). 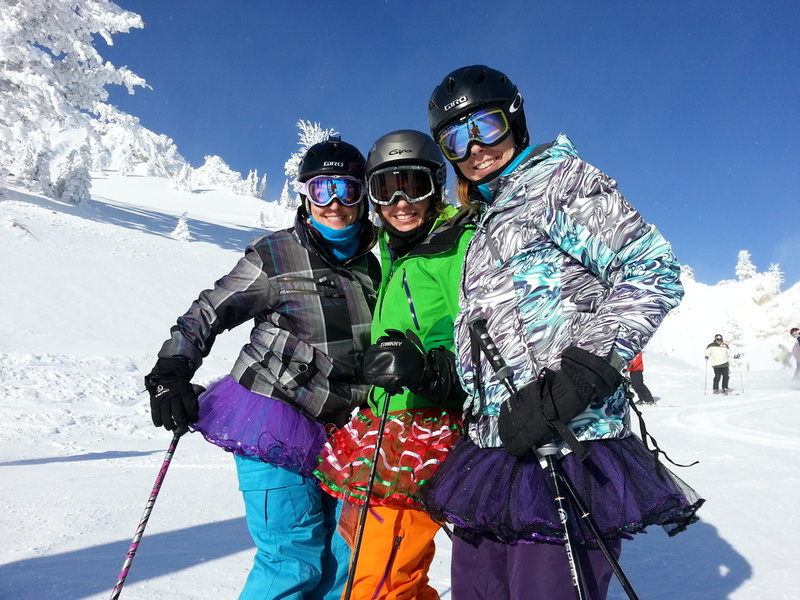 Members have a general fondness for skiing, traveling, and general outdoor & social activities. Twenty-one years old is the minimum age to join. We have people from all walks of life in the club. The variety of people really makes the club something special. You will find you have new friends fast! Our club meets at Thunder Bay Grille Map (on the frontage road parallel to E. State St. - by the Holiday Inn - in Rockford. We meet on the 2nd Tuesday of each month at 7:30PM. Please stop by and pay us a visit. You will learn a lot about us and we will get to meet you. Work out year-round with the Ski Master and stay in shape for next ski season. Check out the Events page for Ski Master challenges! You can get membership info from our Membership Director, Janiece Gehrke, 815-222-6688 or email Janiece at janiecegehrke@gamail.com. We meet at the Thunder Bay Grille (on the frontage road parallel to E. State St. - by the Holiday Inn - in Rockford.